The ultimate anti-slip stair protection for pedestrians. 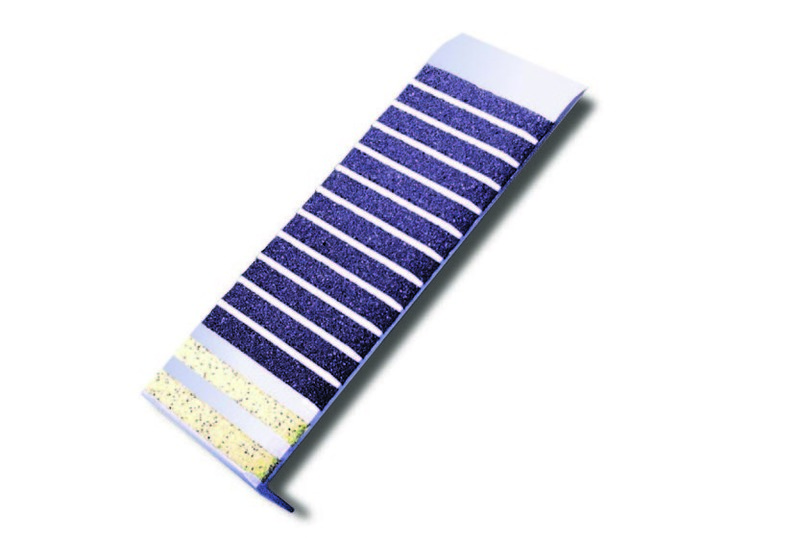 Garon Treds™ are made with extruded aluminum with imbedded aggregate for anti-slip traction. Renew old, worn and unsafe stair surfaces, inside and out. 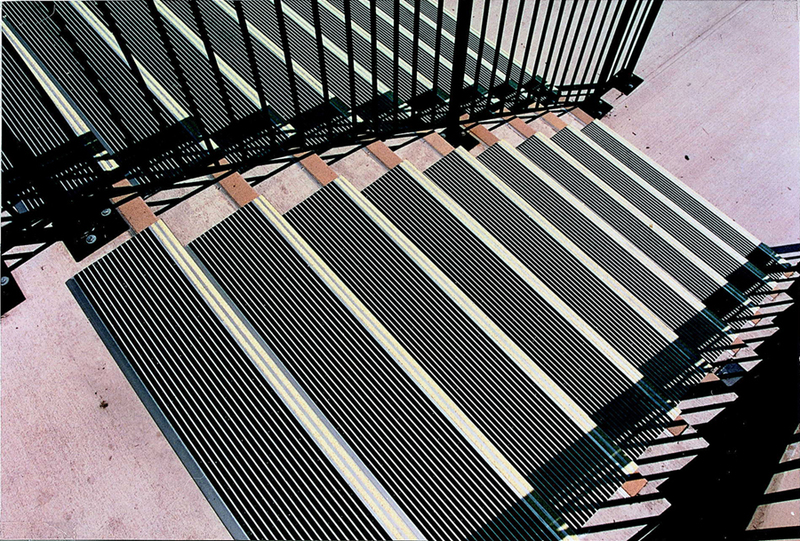 Aluminum Stair Treads: For industrial strength protection - use on concrete, metal or wood stairs. Free Garon Tred Sample: Need to see one up close? Order a free sample. Safety Engineers and Compliance Officers turn to Garon Treds™ for safety and dependability where it counts. Choose from standard pre-cut sizes. We also custom cut for a perfect fit! Call for custom sized pricing: 800-381-6076 or if you prefer, fill in this Custom Sized Garon Tred Free Estimate Form.